XQ Manufacturing is proud to announce our new African Trade initiative. Partnering with Afking Services Nigeria, we are recruiting a handful of African individuals and companies to participate in our sourcing, custom manufacturing, and regular consolidated shipping programs from China and USA to Nigeria and surrounding countries. XQ Manufacturing is a US owned and operated company, with a 14 year history of running our own factories and cooperating with others to export quality goods for markets around the world. Our international team allows us to offer the best in quality, service, communication, price and trust. Now XQ Manufacturing is starting a new initiative to leverage the growing strength of the African market to duplicate the sales model we have set up for our US clients with special advantages tailored to the African market. 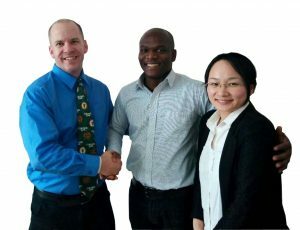 Our team of experienced US management, Chinese factory, sourcing and sales staff, and our African project directors are positioning us for great partnerships with our African clients. We want to be your factory in China! Special Financing: Clients may apply for financing terms which, if approved, could mean the client is required to pay 20% to 80% deposit, but the balance of the cost of the goods does not have to be paid when the goods are ready to ship but only when the goods arrive in our warehouse in Nigeria. We accept payments in Nigeria through our local partner so Nigerian clients do not need to worry about international payments, importing or international shipping. We are partnering with a local business training organization in Nigeria to offer optional business training from an international team to our African clients. Great 1 week rates for Air Shipments to Western Africa. Unbeatable rates for consolidated goods on our Quarterly ocean shipments to Lagos. Close cooperation for sourcing goods from China or USA, or custom manufactured goods to your specifications at our China based factory. Availability of low cost excess goods from Chinese factories. Receive introduction fee for introducing clients who will order from us upon the successful completion of their order. Do you have goods from Africa that you think might be of interest to the US or Asian markets? Would you like to explore sending some of your goods to our US warehouses where we can help you get set up to run your own online sales platforms in the US market? (Amazon/eBay). Are you interested in distributing product lines for US or Asian brands? We work with US and Asian brands including Outdoor products, fashion, automotive (including newly added paint protection films), archery, and more. Let us know, if there is an industry you are focusing on and would like to explore dealership/distributor status. Copyright © 2019 XQ Manufacturing. Powered by WordPress. Theme: Spacious by ThemeGrill.